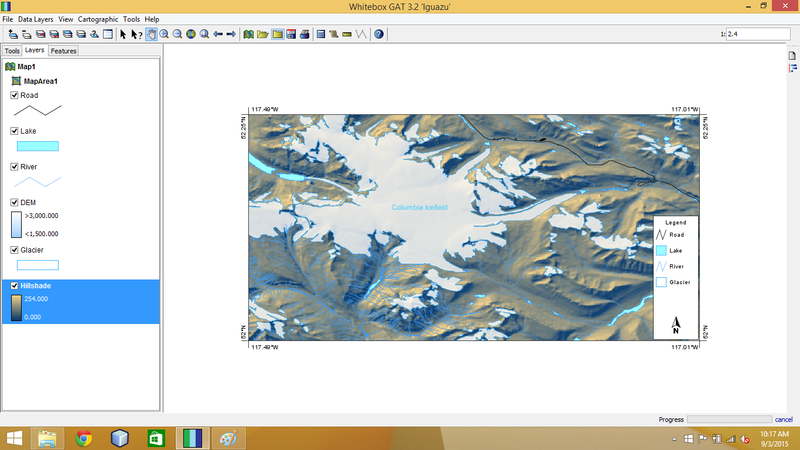 The Whitebox GAT project began in 2009 and was conceived as a replacement for the Terrain Analysis System (TAS). 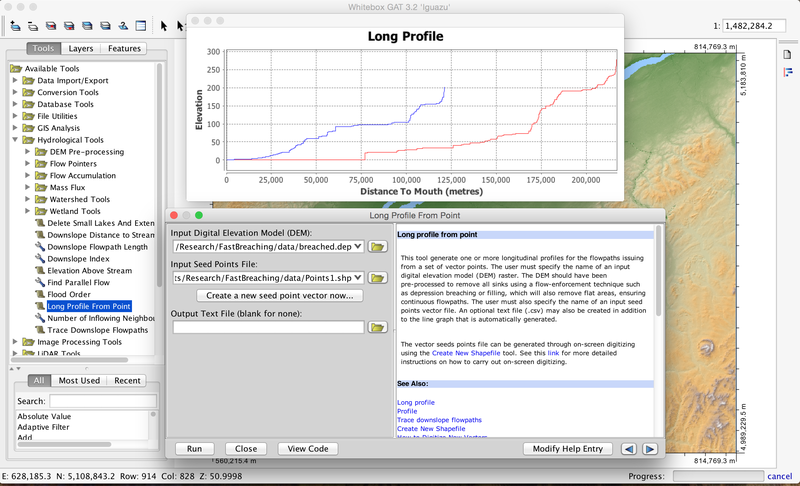 Whitebox GAT was intended to have a broader focus than its predecessor, positioning it as an open-source desktop GIS and remote sensing software package for general applications of geospatial analysis and data visualization. Whitebox GAT is intended to provide a platform for advanced geospatial data analysis with applications in both environmental research and the geomatics industry more broadly. It was envisioned from the outset as providing an ideal platform for experimenting with novel geospatial analysis methods. Equally important is the project’s goal of providing a tool that can be used for geomatics-based education. Whitebox GAT should not be confused with the related project, WhiteboxTools, which is a stand-alone command-line program and Python scripting API for geospatial analysis. Check out the WhiteboxTools project homepage and the GitHub source code repository for more details. Looking for someone to talk to a group about Whitebox GAT? Prof. John Lindsay is available for speaking engagments (e.g. speaker's series, conference presentations, workshops, training sessions) to discuss the Whitebox GAT project. If you are interested in hosting an event, please contact Prof. Lindsay. An important characteristic of Whitebox GAT is the unique open-access development philosophy adopted by the project, which lends itself to experimenting with geospatial algorithm development. Open-access software can be viewed as a complementary extension to the traditional open-source software (OSS) model of development. The concept of open access has been previously defined in the context of publishing scholarly literature in a way that removes financial, legal, and technical access barriers to knowledge transfer. Although this definition of open access focuses solely on research publications, we argued that the stated goals of reducing barriers associated with knowledge transfer applies equally to the software used in research. Open-access software is distinct from other OSS in that it has an explicitly stated design goal of reducing barriers to the transfer of knowledge to the user community. Direct insight into the workings of algorithm design and implementation allows for educational opportunities and increases the potential for rapid innovation, experimentation with algorithms, and community-directed development. This is particularly important in geomatics because many geospatial algorithms are complex and are strongly affected by implementation details. Also, there are often multiple competing algorithms for accomplishing the same task and the choice of one method over another can greatly impact the outcome of a workflow. "Open-access software is designed from the project’s inception in a way that reduces the barriers that typically discourage end-users from examining the algorithm and implementation details associated with software artifacts." All OSS allow users the opportunity to download the source code and inspect the software’s internal workings. However, traditional OSS often does not lend itself to end-user source code inspection. Open-access software, by comparison, is designed from the project’s inception in a way that reduces the barriers that typically discourage end-users from examining the algorithm and implementation details associated with specific software artifacts. Whitebox GAT attempts to address some of the barriers to knowledge transfer by allowing users to view the source code associated with each tool directly from the tool’s dialog simply by pressing the View Code button (see above). This functionality removes the need to download separate, and often large, project source code files and eliminates the requisite familiarity with the project to identify the code sections related to the operation of the tool of interest. The View Code button is the embodiment of a design philosophy that is intended to empower the user community. This model has the potential to encourage further community involvement and experimentation with geospatial analysis techniques. Among the group of users that are comfortable with GIS programming and development, the ability to readily view the code associated with a specific tool can allow rapid transfer of knowledge and best-practices. This model encourages more rapid development because new functionality can be created simply by modifying existing code. For scripting-based plug-in tools, users can open the tool’s source code in the Scripter, modify the code to alter functionality, and save the modified code as a new plug-in tool. Users may experiment without worrying about breaking existing functionality because each script-based tool can be automatically repaired simply by updating from the central code repository. So play with it, experiment and have fun. That's the Whitebox way. Whitebox GAT is the GIS for the kind of person who as a kid, just had to take the toaster apart to see how it works. Whitebox GAT is the GIS for the kind of person who feels uncomfortable pressing the OK button without knowing exactly what is going on behind the scenes. "The View Code button is the embodiment of a design philosophy that is intended to empower the user community."